Fr63. 30% opaque. Burnt sugar, again like many of these ’63s. Taste similar, with acridity mid-palate. By the end of the weekend my notes had become rather concise. Good wine, but like so many 'Portuguese style' VPs from this vintage, the sweetness has become over-prominant. Awful nose. Very acidic, lacking fruit and a short finish. orange ruby red color; sweet nose, subdue fruit; lightish finish; good port; really sweet but good; a bit alcoholic finish. 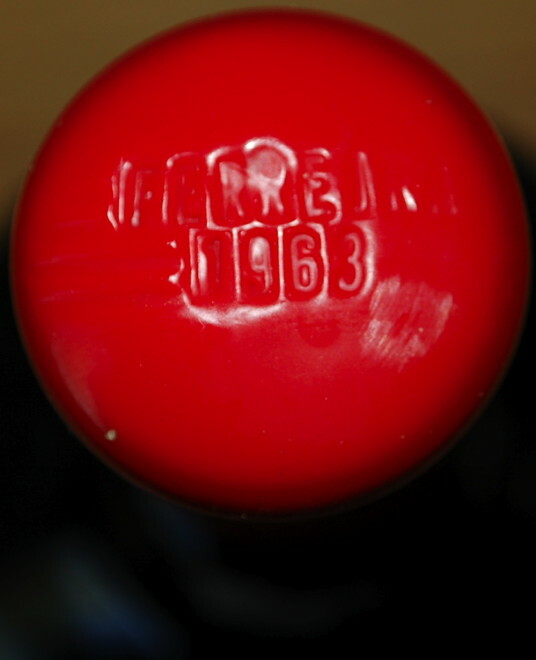 Brick red, pale centre; 40% opaque. A touch of alcohol and antiseptic on the nose, smelling of a typical old Ferreira. Satin texture with modest fruit that has dried out and allows the tannins to dominate over the sugar water. A horrible aftertaste. A shame this bottle is so poor when others from the same parcel have shown so much better in the past. 83/100. Drunk 12-Oct-13. Decanted 11½ hours.